SKU: LL-I. Categories: Interior Finishes, Perma-Chink. Enhance the beauty of all your interior wood and seal out household odors and contaminants with Lifeline Interior Wood Finish . Lifeline Interior Wood Finish is a semi-transparent, waterborne wood finish that highlights the beauty and grain of your walls while providing a hard protective surface that can be easily cleaned or dusted. 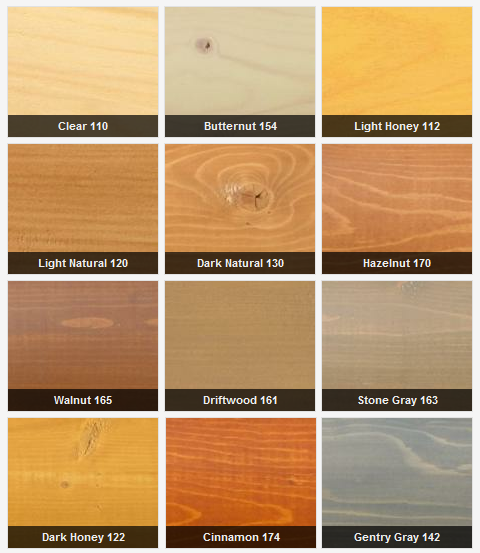 It’s the only natural wood finish you’ll ever need to apply to the interior of your log home! Lifeline Interior Wood Finish will not yellow. You can apply multiple coats to develop the color and film thickness that you desire. Lifeline Interior Wood Finish is completely compatible with Perma-Chink Systems other interior finish options. For extra sheen, protection, and durability coat Lifeline Interior Wood Finish with Lifeline Acrylic Satin & Gloss Clear Interior Wood Finish. Lifeline Interior Wood Finish breathes to allow trapped moisture to evaporate from logs. The addition of LifelineUV Boost to the first coat of Lifeline Interior Wood Finish significantly reduces the ‘picture frame effect’ in sun-exposed locations. Coverage will vary due the roughness and porosity of the wood surface. Sanding is not advised. It would actually remove product just applied and may result in a blotchy final appearance. If a very smooth surface is preferred, sand after the first or second coat of Acrylic Gloss or Satin which has fairly hard polymers. Use Log Wash to prep new interior construction unless heavy mill glaze is evident. If so, or if wood has become gray due to UV exposure then use Wood ReNew to prep wood. 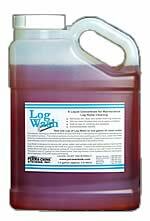 Mix two cups of Log Wash Concentrate with one gallon of warm water in a pail. We always recommended performing a two coat color test to a clean, dry, bare area of the structure that you are planning on applying Lifeline Interior Wood Finish. Please Note: Lifeline Interior Wood Finish is difficult to remove once it has been applied. Before doing a full application make sure that your color selection is correct and a look you want. Apply Lifeline Interior Wood Finish when temperatures are between 40° and 90° F.
Remove and replace any deteriorated or decayed wood. 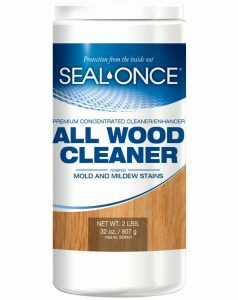 Wood that is stained should be restored using readily available cleaners and restorative products prior to application of Lifeline Interior Wood Finish. Surface should be free from mill glaze and contaminates including dirt, dust, old finishes, water repellents, wax and mildew. Use appropriate materials to prepare surface, being sure to rinse thoroughly. Do not use steel wool. Allow wood to dry completely before applying Lifeline Interior Wood Finish. Mix Lifeline Interior Wood Finish thoroughly initially and regularly during application. Apply to all surfaces with a brush or airless sprayer. Avoid pump up sprayers to keep air bubbles from being pumped into Lifeline Interior Wood Finish. To avoid lap marks, work wet into dry areas, maintaining a wet edge. Back brushing is required (with each coat) to help work the finish into wood fibers for optimum penetration and longer lasting protection. Remember that Lifeline Interior Wood Finish is unlike paints and oil borne stains. A thin coat is best and most durable. If a second coat is needed to achieve the desired color or build up of finish, wait two hours. The first coat should be dry to the touch before applying the second coat. Apply no more than two color coats on the first application. Work area and equipment should be cleaned immediately with warm soapy water. Rinse sprayers as per manufacturer’s directions. Allow equipment to dry thoroughly. Lifeline Interior Wood Finish is shipped via FedEx ground and meets VOC compliance for all 50 states. Lifeline Interior Wood Finish generally ships same day when ordered by 1pm EST. Be the first to review “Lifeline Interior Wood Finish” Click here to cancel reply.